Hi folks! 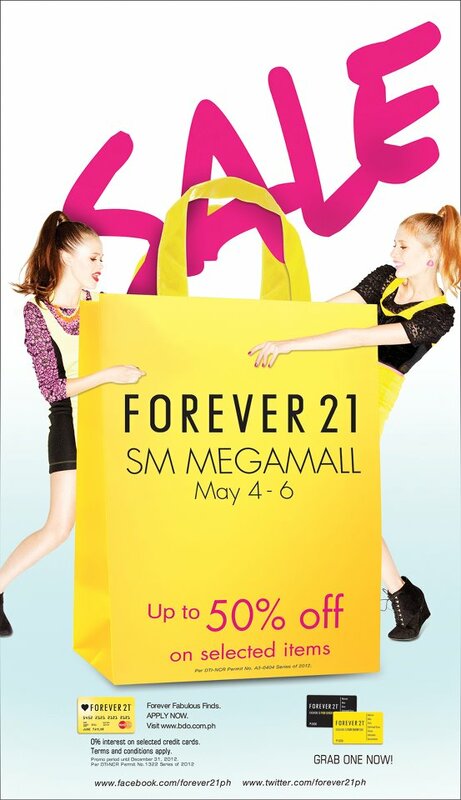 I just want to share a huge upcoming mall-wide sale at SM Megamall this May 4-6. Forever 21 will also be on sale there, at items up to 50% off. So yes, go go go! I suggest you leave your car at home since parking will surely be hell this weekend.